When shopping for a new Toyota, you want to feel good knowing you’re getting the best deal around Cartersville. 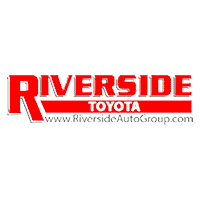 And when you take advantage of the new vehicle specials at Riverside Toyota, you can be confident you are! Explore our inventory, and then simply visit our dealership near Calhoun to view our discounted Toyotas in Rome – you won’t be disappointed! Thanks to our ever-changing Toyota finance offers and lease deals, you can get behind the wheel of that new Corolla you’ve wanted for a price that fits your budget. The best way to know if a car is right for you is to test drive, so make the trip from Cedartown to meet your match in person! Save time and money by calculating your monthly payments with our auto finance calculator, and get ready to drive away happy today!